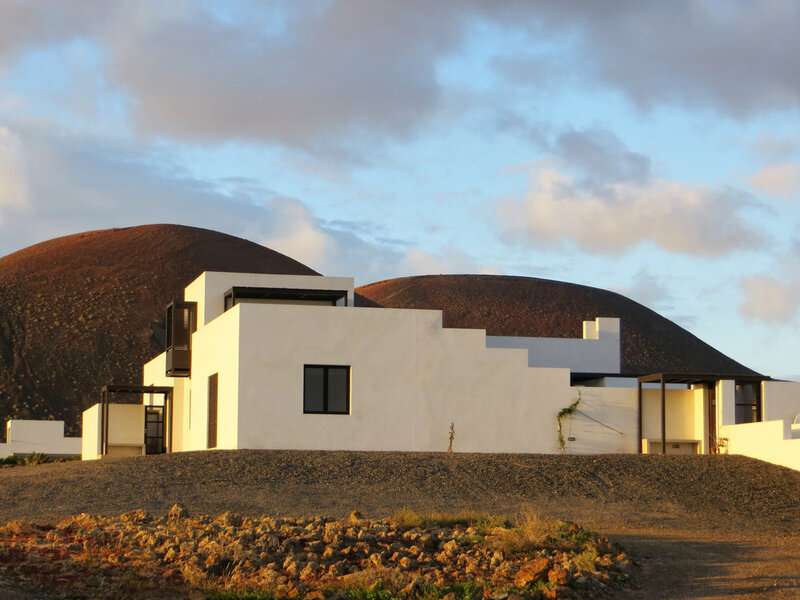 Built on north of the Island of Fuerteventura, close to a natural park near to the sea, the house is inspired by the Moroccan riads and the courtyard houses of the ancient Greek and Roman cities. Exterior and exterior spaces are interlocked and the privacy of the domestic space is well protected. Places to congregate are juxtaposed with others to relax. As the island is famous for the wind condition, a number of places are sheltered when the wind is too strong and others are exposed when the wind is welcome on hot sunny days. Throughout the day light and shadows move in and around the house – so are the people living in it, looking for their perfect spot at each moment in time.